Just as other top orchestras Filharmonie Brno is interested in educating the next generation of outstanding musicians who might in the future become its members. For this reason, the beginning of the 2014/2015 season marked its establishment of Filharmonie Brno Orchestra Academy. Students and graduates of secondary and higher education music schools from the Czech Republic and from abroad will have the opportunity to expand their education and obtain valuable experience at Orchestra Academy of Filharmonie Brno. The programme will focus not only on orchestral repertoire but by means of a Filharmonie Brno concert series (“Mladá krev” – “Young Blood”) to be held in its hall in the Besední dům, it will also allow members of the Academy to develop their chamber playing skills. The inclusion of young, talented musicians in Filharmonie Brno will also create many opportunities for the orchestra itself. By founding its own Academy, Filharmonie Brno acknowledges the long tradition of high quality music education in the Czech Republic, and is confident that the Academy will provide a valuable contribution to its further development. In the 2014/2015 season the Brno Philharmonic established its Orchestra Academy with the aim of educating the next generation of musicians. The orchestra hopes that one day some of them might become its members. During its two-year course, the Academy offers students not just orchestral practice, but also an opportunity to present their abilities in chamber performance: in a concert series entitled Young Blood. Over the past two seasons interest in this series has exceeded our expectations. There are many reasons for this: youthful and engrossing performances, varied repertory… But there is more. The subtitle of the series, Music from nearby,suggests that these are not traditional concerts. We offer an unusual seating plan in an intimately lit venue, where the audience can almost touch the musicians. The music might be classical but the setting is anything but – you won’t feel separated from the performers by a platform and there is no need for formal evening dress either. Do come and support our young hopefuls, wearing jeans if you like; come to experience music from nearby in a friendly family atmosphere and for an agreeable entrance fee. In the 2017/2018 season new members of the Brno Philharmonic Orchestra Academy will present their artistry. This intake was accepted on the basis of auditions held in January 2016. However, besides chamber performances by current Academy members, the Young Bloodseries will also offer opportunities to guests, including former graduates of the Academy. Each Academy member is expected to take part for two concert seasons. Academy members will be invited to participate in selected projects of Filharmonie Brno, including rehearsals and concerts of the subscription series it holds in Brno. They will be guided by leading players of the orchestra in their study of orchestral parts and preparation for rehearsals and concerts. Starting with the 2016/2017 season, about four chamber concerts will be held annually in a subscription series “Mladá krev” – “Young Blood” in which more or less every member of the Academy will perform. Musicians aged 18 to 26 may submit their application for the Academy. Auditions for the 2018/2019 and 2019/2020 seasons will be announced in autumn 2017. Should a place become available in the Academy, auditions for the individual instrumental sections might be announced earlier. Students of the Academy will be remunerated for the rehearsals and concerts in which they participate. The sum is fixed and is 500,-CZK per one attendance at the rehearsal or concert. Number of attendances in one season is minimum 20 and maximum 120. Filharmonie Brno reserves the right not to use the maximum number of attendances. On completing the two-year programme at Orchestra Academy of Filharmonie Brno, each participant will be issued with a certificate by Filharmonie Brno testifying that the participant successfully completed the Academy. Filharmonie Brno does not provide members of the Academy with accommodation in Brno, nor does it pay for any accommodation or travel costs. The members of the Academy are also not entitled to receive concert attire, musical instrument, or peripherals. The final concert of the series, members of the Academy accompanied by the Moravian Chamber Orchestra under the baton of Richard Kružík. 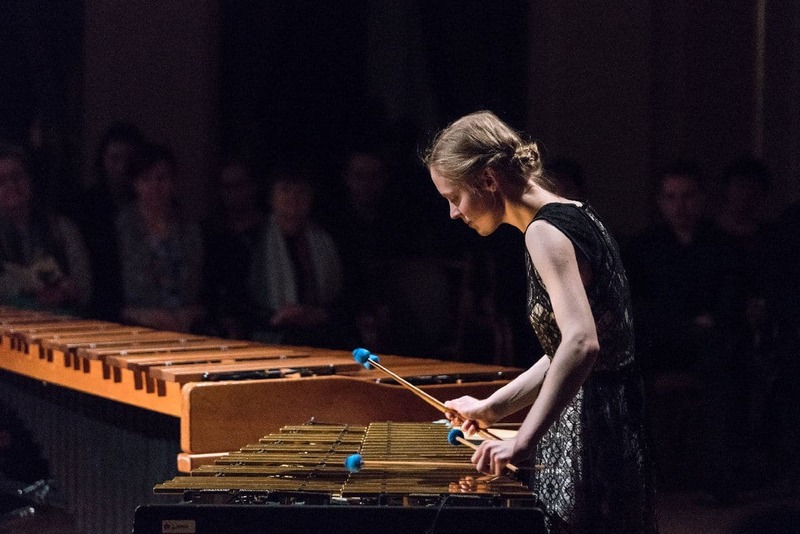 Orchestra Academy of Filharmonie Brno is a project that allows talented young musicians – students or fresh graduates of music schools, who are selected by audition – to gain orchestral experience in a professional ensemble. In this way, the Philharmonic develops the next generation of players who might in the future become its members.During its two-year course, the Academy offers its students not just the possibility of orchestral practice, but also an opportunity to present their abilities in chamber performance, in a concert series entitled Young Blood. Over the past seasons, the series has earned a substantial audience – music fans appreciate the youthful and engrossing performances, the varied and attractive repertoire, and, last but not least, the enchanting atmosphere of these concerts. 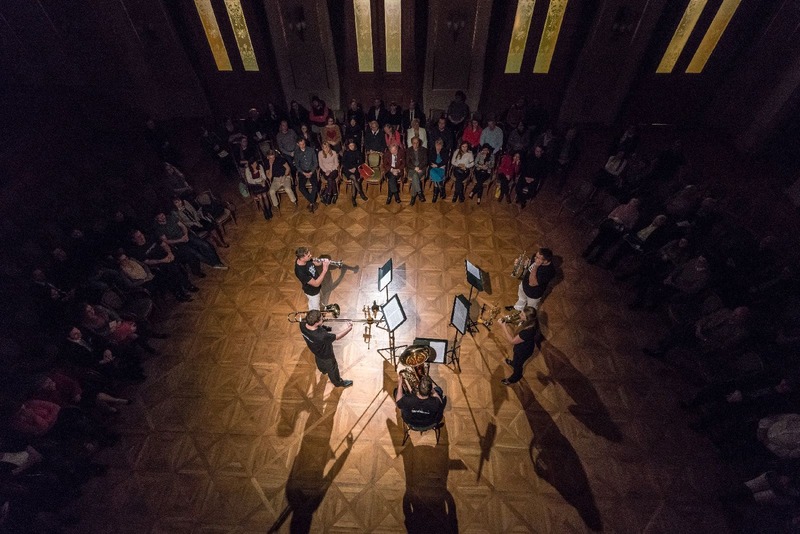 For this occasion, the hall of the Besední dům is intimately lit and offers an unusual seating plan, so that the audience can feel really close to the musicians – as indeed suggested by the series subtitle, Music from nearby. You won’t feel separated from the performers by a platform and there is no need for formal evening dress either. The list of performers and programmes is available about a month before the concert.